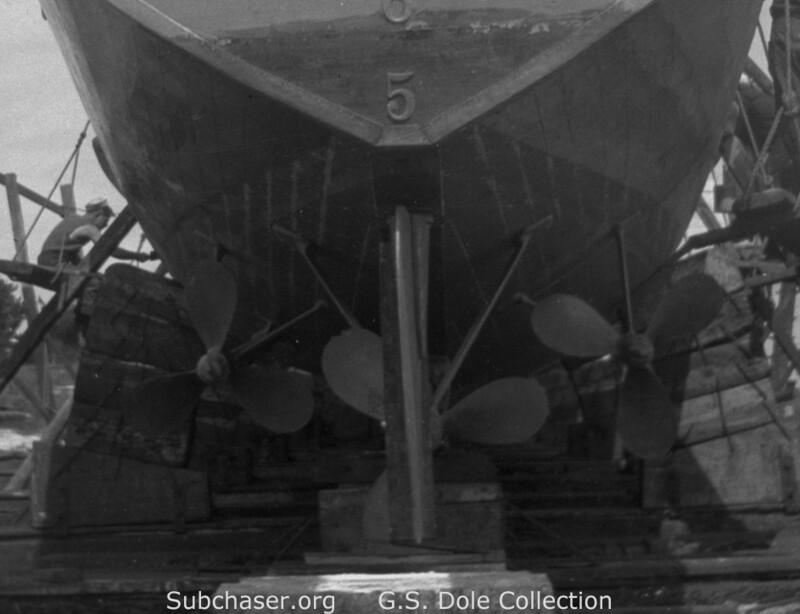 Rudder and propellers on SC 93. G.S. Dole Collection. 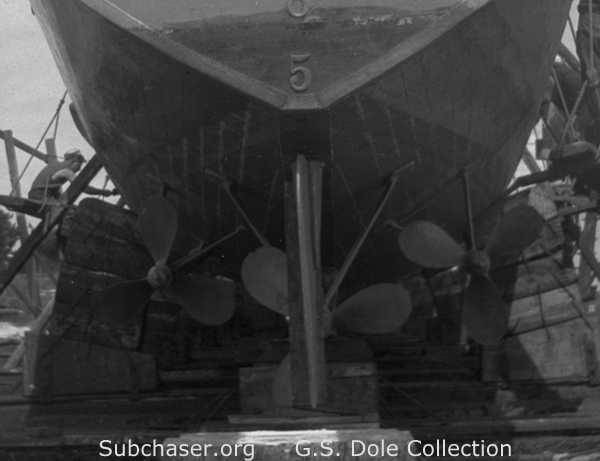 SC 93 on the ways, showing the rudder and the three propellers.